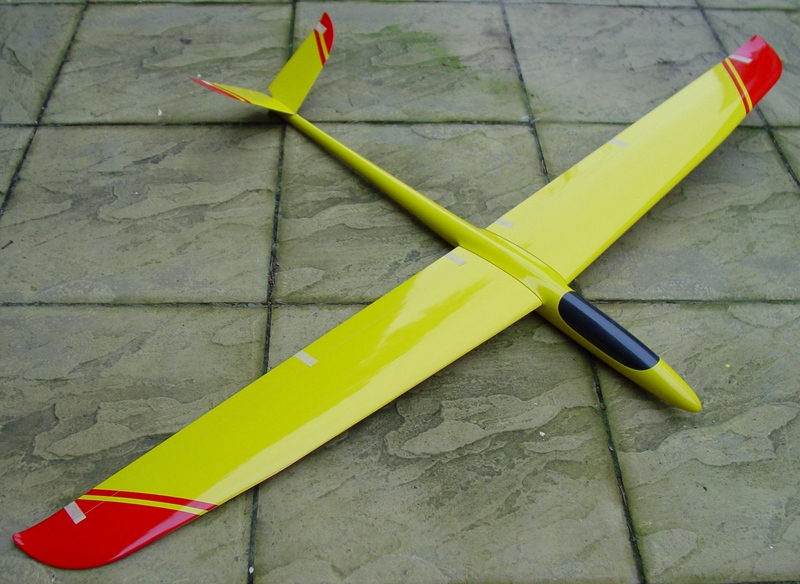 This is a general purpose all round glider now as an electric version.Due to its forgiving nature its so is easy to fly as its so stable. It’s all round performance is second to none. It has a 2 piece wing with ailerons & flaps. The wing is fibreglass reinforced with carbon and a carbon/fibreglass wing spar, the wing joiner is a 8mm steel rod. The fuselage has a prefitted canopy and a one piece V tail which is fixed to the fuselage by a hexagonal bolt. this model is perfect for your first electric moldie. It comes with a motor mount which is not attached, it needs to be cut into the fuselage. The model can be fitted with 6 x HS82mg servos. For the electric version of this model the Turnigy D3548-6 outrunner motor could be used, with a 40amp ESC and 3s 2200 battery. 8mm x 180mm wing bar, 2x servo covers, 2x carbon control rods, 8x 2mm steel threaded control rods, 2x male MPX green connectors, 2x female MPX green connectors, 6x 2mm steel clevises, 4x M3mm brass threaded bushes, 4x M3 brass threaded screws, 2x nylon threaded uniballs, 2x threaded metal ball links, 2x M2 9mm long metalbolts, 1x M3 11mm long threaded hexagan bolt, 1x glassfibre motor mount.